Since I arrived at my parents' in Paris, I’ve been preparing Vietnamese dishes they haven’t had since they left Saigon in the mid ‘70s. In the Bay Area where I live, all kinds of ethnic ingredients are widely available, so I brought some and made the best bỏ nhúng dấm (Vietnamese-style beef fondue) and used the shells for this fumet. 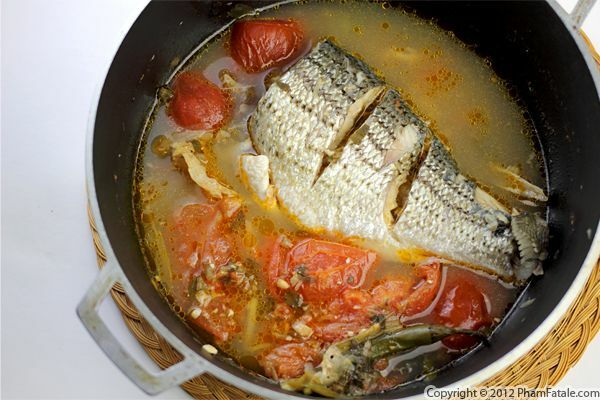 A fumet de poisson is a flavorful fish stock made with seafood remnants. I used écrevisse (small French lobster, similar to a crayfish) shells, empty clam shells and a whole fish. I also added a few whole chiles, carrots, leeks, celery leaves, garlic and tomatoes for extra natural sweetness. The fumet is incredibly versatile, and can be used in soups and sauces that accompany just about any seafood. I especially like to use this in my lobster bisque. Enjoy! While picking fresh vegetables at a local Korean market with Aria sitting in my shopping cart, a very nice lady began chatting with me in front of stacks of neatly arranged young Chinese cabbage heads. She said they make excellent kimchi, as well as a delicious soup for little ones. I love sharing new foods with my daughter, so I definitely appreciated the advice. I kept the soup fairly simple, adding potatoes as the primary thickening agent. They give the soup a richer mouth-feel without making it heavy and overbearing. 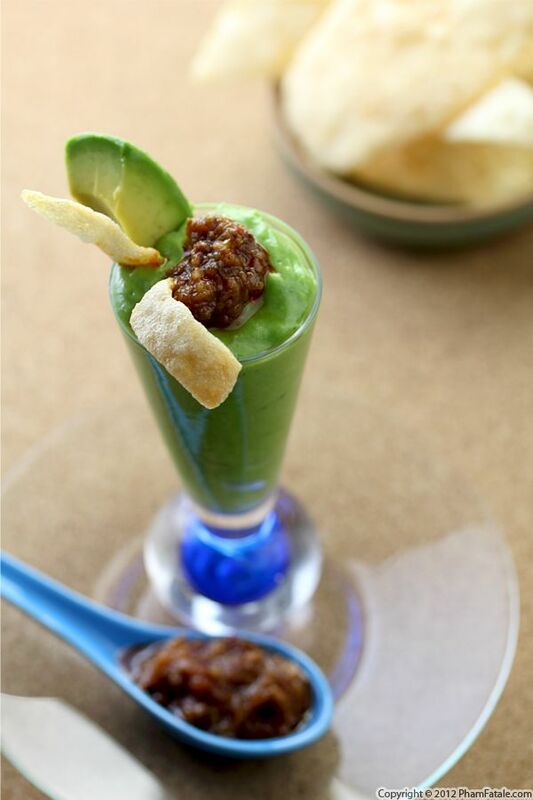 It's a very pleasant way to start a meal, whether you're young, old or in-between. 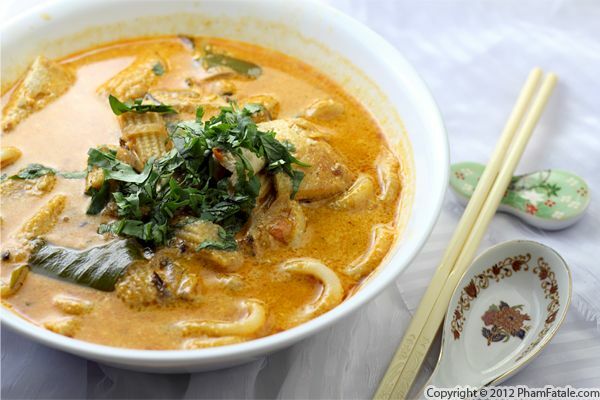 The spicy paste in this coconut udon soup provides not only the kick, but also most of the flavor. It's made of miso paste, a lot of red Thai chiles, Thai basil, sesame and garlic. The rest of the preparation is very basic. 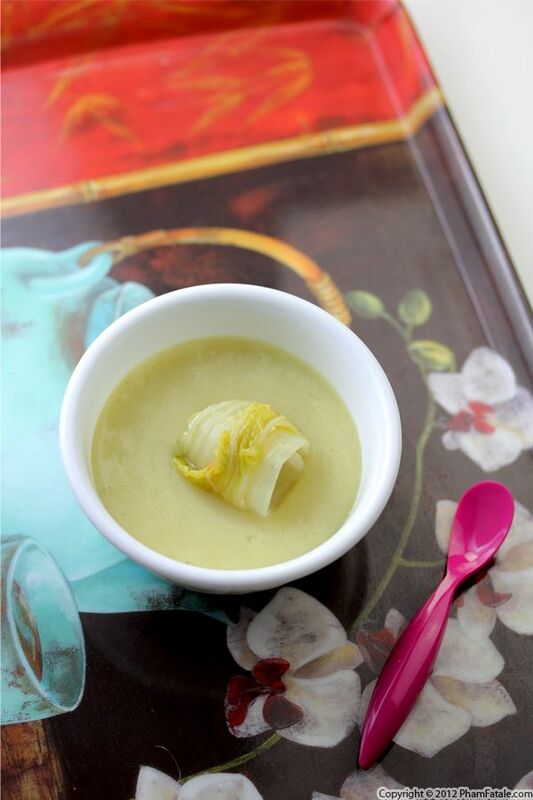 A mix of Asian vegetables such as straw mushrooms, sweet baby corn and bok choy are boiled in vegetable broth. At the last minute, fried tofu, pre-cooked fresh udon noodles and coconut milk are added to complete the tasty soup. 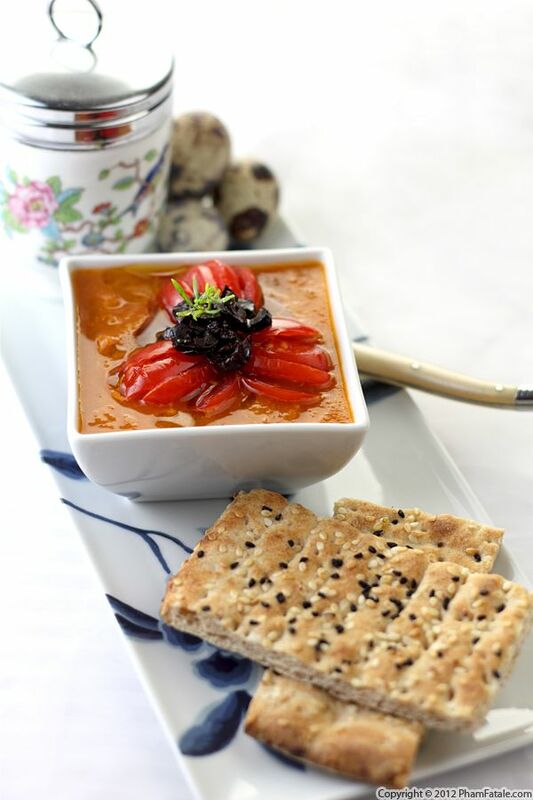 The temperature is finally dropping in the Bay Area, which makes hot soup so soothing! Page 11 of 18 pages.